Image by art makes me smile on Flickr. Some rights reserved. This week’s jpod looks at how different publishing platforms in the news industry are approaching curation and aggregation of news, from sources across the web including news outlets, bloggers and social media platforms. This entry was posted in Online Journalism, Social media and blogging and tagged aggregation, curation, Online Journalism, Podcast on May 18, 2012 by Rachel Bartlett. Storify has a new look, logo and functionality. The tool, which allows you to curate stories using elements from social media like tweets, Flickr photos and YouTube videos, is today rolling out its new features and promising to “revise the entire reader experience” in the coming months. Building a Storify is smoother and the ability to narrate and explain your curated story is improved. You now view photos as a gallery and drag and drop from right to left. The system also seems more robust. I also tested closing a browser without saving while building this test Storify, which is all about the Guardian’s n0tice platform (the news group’s latest venture into hyperlocal which yesterday invited more users) and found my Storify had auto-saved. A new logo and new look. The search and the editor sides of the interface have been switched, and we have made it easier to write your own text into stories, and to add subheds, or headers. An elegant new drag-and-drop functionality, which makes it easier to build stories, and to reorganise them. 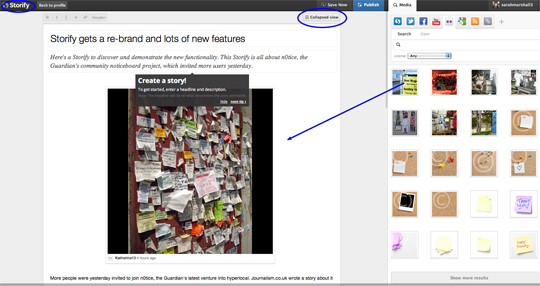 A collapsed view of your Storify story while it’s being built, so you can see it all easily, and organise it better. A revised Storypad bookmarklet that lets you gather information from all over the web for your Storify stories. You can add the material to a story at any time, and share your Storypad with other users. This entry was posted in Handy tools and technology, Online Journalism and tagged curation, social media curation, storify, xavier damman on October 27, 2011 by Sarah Marshall. What is it? A free tool to create interactive timelines. How is it of use to journalists? For plotting events and linking to content from your news site and others. Dipity has been around for some time but is well worth a reminder. Back in 2008 the Manchester Evening News plotted the congestion charge coverage; the Liverpool Daily Post told the story of Liverpool being the 2008 European Capital of Culture; and the Guardian and NWN Media’s Evening Leader plotted job cuts. You can then embed your story and readers can view it as a timeline, flipbook, list or map. Try toggling though the job cuts timeline to see the information displayed in different ways. Here is a more recent example from Journalism.co.uk on phone hacking and the end of the News of the World. Some of these events were added manually, others via the phone hacking RSS feed. This entry was posted in Handy tools and technology, Tool of the Week and tagged curation, Dipity, dipity timelines, timelines on September 6, 2011 by Sarah Marshall. 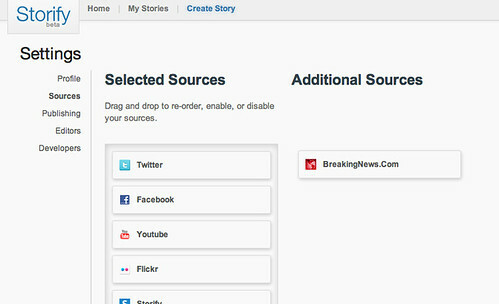 Storify has partnered with Breaking News, the @breakingnews Twitter channel and news site, which is owned by MSNBC. Storify, which allows users to create a narrative using tweets, YouTube videos, Flickr photos, Audioboos, Slideshares, Facebook status updates and more as sources, will now include the option of adding Storify as a source. You can add Breaking News as a source by going to settings within your Storify account. 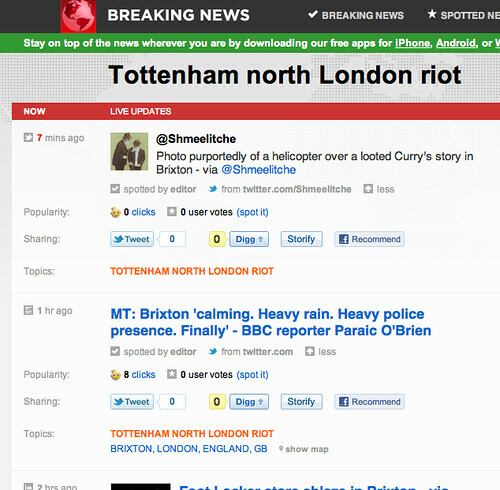 A breakingnews.com logo will appear alongside the images representing the above social networks and allow users to drag and drop content from Breaking News. Storify has also added a ‘Storify’ button allowing visitors to its site to take a news story and start to build a timeline. There is a Storify on the partnership here. Storify launched in public beta in April, and was last month named winner of the Knight-Batten award for innovations in Journalism. This entry was posted in Handy tools and technology, Social media and blogging and tagged curation, online storybuilding, social media, social media curation, storify, the breaking news wire, visual storytelling tool on August 8, 2011 by Sarah Marshall. Content curation tool Bundlr goes public today, making it accessible for people to sign up through Twitter and Facebook instead of by invitation only. The new public version also boasts some additional features, including a embedding, timeline visualisation, and a search function for users and bundles. Bundlr is based in Coimbra, Portugal, and has a three-strong team consisting of Filipe Batista, Sérgio Santos, and Pedro Gaspar. The team came to Journalism.co.uk’s most recent news:rewired event, and created a bundle with blogs, quotes, tweets, audio and images from the day. See the news:rewired bundle at this link. You can see more about the launch and sign up on the Bundlr site. This entry was posted in Editors' pick, Handy tools and technology, Social media and blogging and tagged aggregation, Bundlr, clipping, curation, protugal on June 8, 2011 by Joel Gunter. The Guardian today announced the launch of the Guardian Comment Network on Comment is free. The site says it has partnered with a range of websites which they will curate content from and cross-post, in a bid to break down “barriers between us and them”. We hope to act as curators for the best of this content, while acknowledging that we as editors are not the only ones who can or should decide on the direction of Comment is free on any given day. We already draw on the inspiration and insights of our users through series such as You told us, the People’s panel and Anywhere but Westminster. We want to extend that to the many bloggers out there who are often just as good as Guardian journalists – if not better – at spotting stories and responding quickly and imaginatively to them. This follows similar developments in content curation across other areas of the site, as outlined by Dan Sabbagh to Journalism.co.uk when he joined the Guardian last year as its new head of media and technology. This entry was posted in Comment, Editors' pick, Online Journalism and tagged bloggings, Comment, comment is free, curation, guardian on June 7, 2011 by Rachel Bartlett. Our good friends from Bundlr in Portugal came over en masse last week for news:rewired, and they built a page dedicated to the event. You can find tweets, quotes, pictures and video from the day there. Bundlr is a free tool for online curation, clipping, aggregation and sharing web content. After attending a great conference, we thought about ways to show how it really was to be at the event. 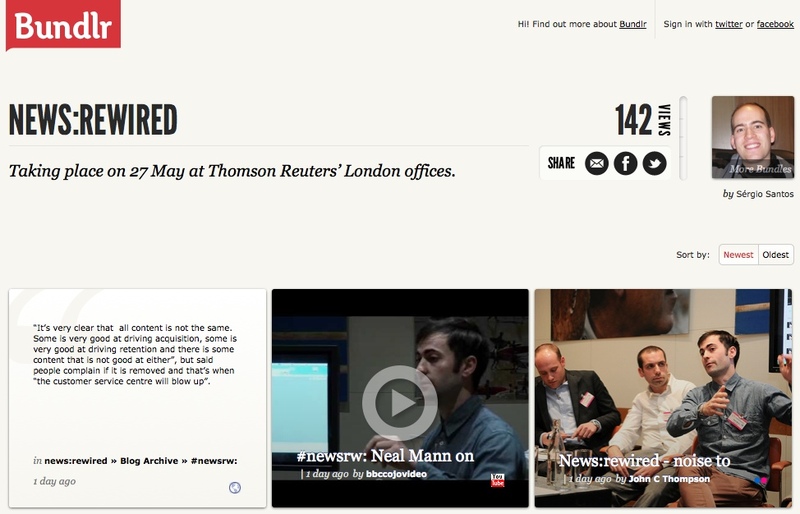 Share photos, videos, reports and all that was being published online, in a single shareable page. But we couldn’t figure out a simple way to do it. But now they have. 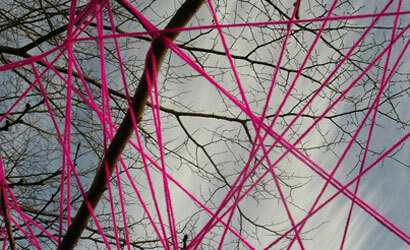 Check it out by way of news:rewired here. You can see Journalism.co.uk’s own round of blogs from the day at this link, and visit the news:rewired site to find speaker presentations, liveblogs and more. This entry was posted in Design and graphics, Handy tools and technology, Online Journalism, Social media and blogging and tagged aggregation, Alexandre Gamela, Bundlr, Conferences, curation, filipe batista, news:rewired, sergio santos, social media, startups on June 2, 2011 by Joel Gunter. A blog post by the Economist from the South by Southwest (SXSW) event in Texas takes a closer look at a much retweeted tweet: “@robinsloan The way to cover big news in 2011 is not “here’s what happened.” It’s “here’s how to follow the story” http://t.co/sMqGOuh”. You might say that you don’t need to be a journalist to cobble together a list of links. But actually, given the huge proliferation of sources these days, you do. Being able to scan a vast range of material, determine what’s reliable, relevant and sufficiently objective, decide what will actually interest your particular readers and arrange it in a way that they can use are not trivial skills. This entry was posted in Editors' pick, Social media and blogging and tagged aggregation, curation, Richard Sambrook, South by Southwest, sxsw, Twitter on March 17, 2011 by Sarah Marshall.